It’s true, toddlers can’t keep their hands to themselves, they hate to sit still and will struggle to keep quiet at the best of times – but they aren’t out to get you! 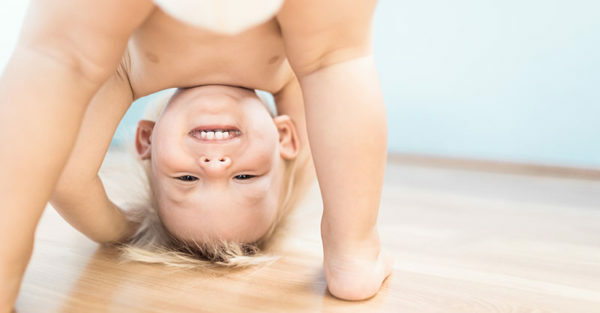 There will be days when your little one pushes all of your buttons, but toddler expert Anthony Semann assures us, it’s not personal. Like listening to a song on repeat, reading the same story again and again can do your head in – but don’t even think about changing the words or skipping pages. Your toddler will be onto you faster than (insert something really fast). Repetition, aka, reading Pig the Pug 158 times a day is just one of the ways your child learns, strengthening neural connections in his growing brain. It also helps him to focus on different elements of the story with every telling. Sure it’s annoying, but like everything else, toddlers need to learn how to use the word ‘no’. And controversially, Anthony says toddlers do actually have the right to say no to you. That said, just because your toddler says no, it doesn’t mean you have to say agree with him. Acknowledge that he’s discovering his autonomy, but stay strong! Shooting back, “because I said so”, is tempting, but another option is to let him know you’ve heard him and offer a choice. For example, you could ask if he wants Vegemite or peanut butter on his sandwich, instead of telling him it’s time to come inside for lunch. Explaining why can also help a toddler understand why your seemingly ridiculous request is important. “I’ve told you once!” How many times have you uttered these words in frustration after having to repeat yourself to your toddler? To this, Anthony asks: “Can I just ask, has anybody ever only sped once, parked illegally only once. Maybe ate a little bit too much [once.] Only ever once in your life, totally exercise self-regulation, like walked past the chocolate and went, ‘No, I’m stronger’ and just kept walking.” And he has a point. As parents, we expect toddlers to hear something once and master the task. The reality is, they will need to be asked to do things many times over, especially boys. As Maggie Dent points out in her new book, Mothering Our Boys, boys generally hear less and get information overload quickly, especially when given long directions and explanations.